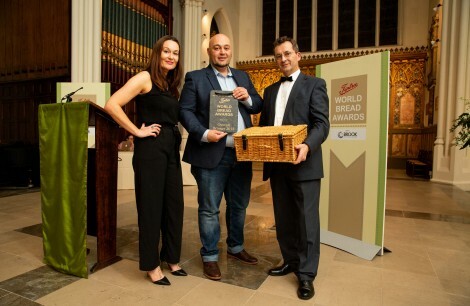 Craft Bakers’ Association are pleased to partner the Tiptree World Bread Awards. Representing businesses in the Baking and Food to Go sectors, we are the experts in the industry. The Craft Bakers Association (formerly known as the National Association of Master Bakers) has, for over 132 years, been supporting the craft bakers of England and Wales and is the vital ingredient for any craft bakery business. Training – online and in house. Thirteen – the members only magazine keeping you up to date with current industry and association information. The CBA take baking and the issues that affect the industry very seriously, as was seen in 2013 following the government’s proposed legislation to apply VAT to hot baked products “the Pasty Tax.” This was the CBA’s most successful lobbying campaign in recent times. 1 million petition signatures were gained to oppose the proposal and the CBA was invited to present this at 10 Downing Street. THE DECISION WAS OVERTURNED ONE MONTH LATER!